I never thought that TravelMart would be this fun! I cannot even believe that we were there everyday. 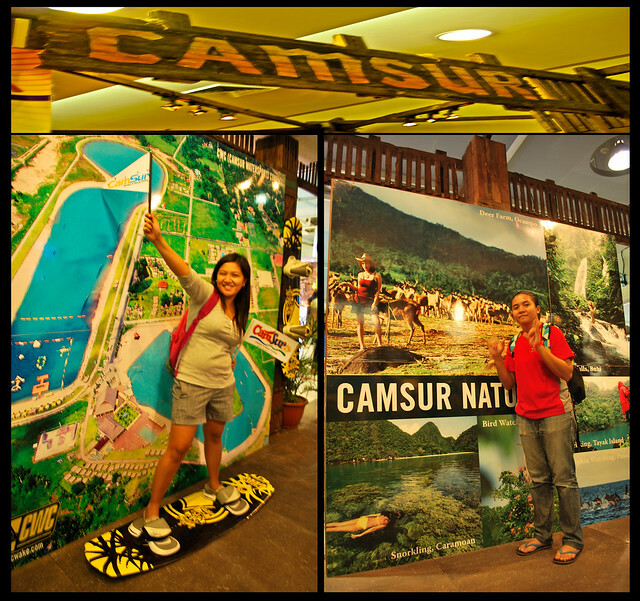 :) The Travel Mart 2010 was held in Megatrade Hall, Megamall B just this weekend Sept. 3-5. 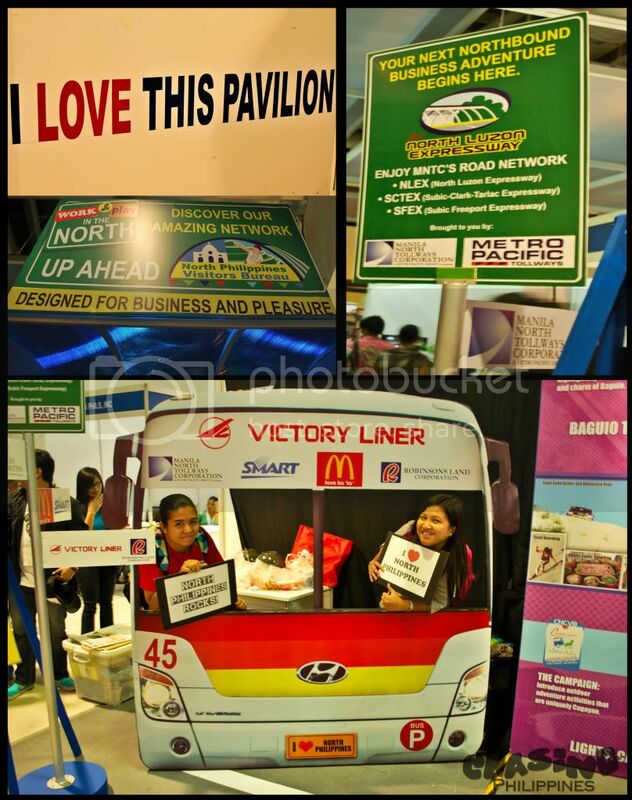 It was just our first time to attend the said event so we were really mesmerized with the number of agencies, hotels, resorts, airlines, and companies who participated in this big event. 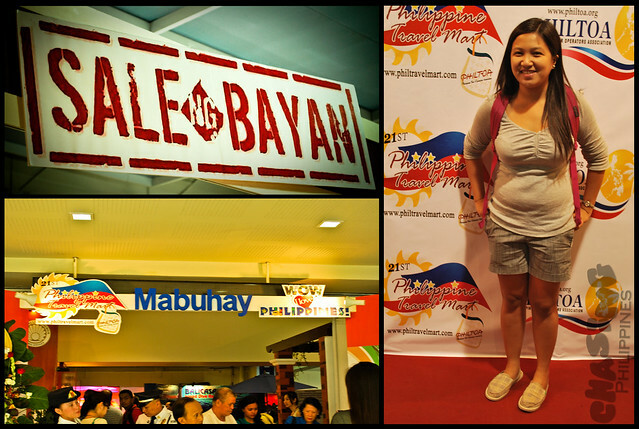 The MegaTrade Hall was really jam-packed w/ travel enthusiasts and bargain hunters for the past 3 days. Since we were so excited, we went to Megamall at around 8:30am on the Opening Day, equipped w/ the strong hope that they were going to open the event earlier than expected. We passed through SM Supermarket around 9:30 am. They opened the gate to the main mall around 10 am. To cut the story short, we waited for about more than 2 and a half hours, but hmmm...everything was worth it. We were all smiling the whole time we were waiting in the Registration Booth. 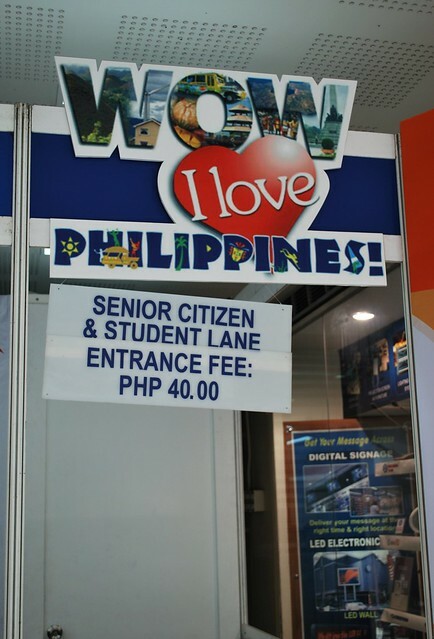 By the way, the ticket/entrance was for P50.00 while students/senior citizens were able to get it in a discounted price for P40.00. Whew!Finallly! The wait was over! The organizers started selling tickets at exactly 11am. 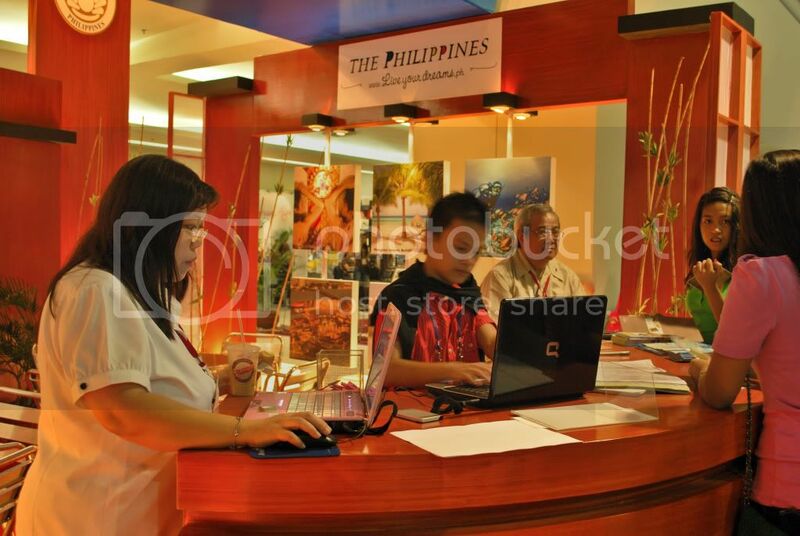 As soon as we got our first-ever-soon-to-be-added-in-our-travel-scrapbook-TravelMart-ticket, we rushed inside and started hunting for great deals. So, let’s start chasing for great deals! 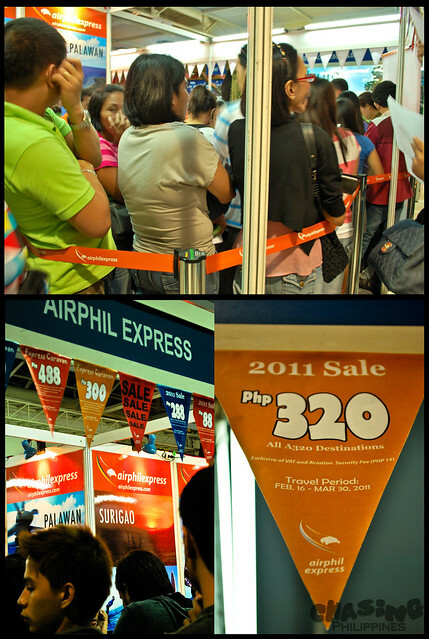 No doubt that AirPhilExpress earned the most customers. Well, who's not gonna grab their offer, anyways? For flights this year, all-in ticket fare is just for Php88.00. 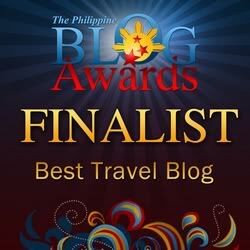 For those who do not have travel plans within this year, who cares? 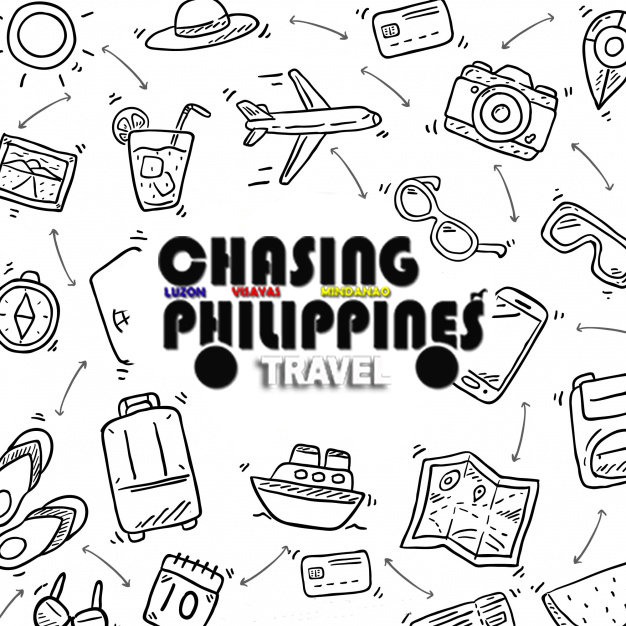 Backpackers were still up for grabs since AirPhilExpress offer as low as Php320.00 for your Great Summer Escapade next year. Whew!!!! The most fun booth! Though, they were not offering any accommodations nor tour packages, a lot of visitors put their stickers on its pavilion. (Oh! I forgot to mention, at the Registration Booth along with the TravelMart Ticket and Raffle Ticket, you're gonna be handed a sticker which you will put on your favorite pavilion/booth.) 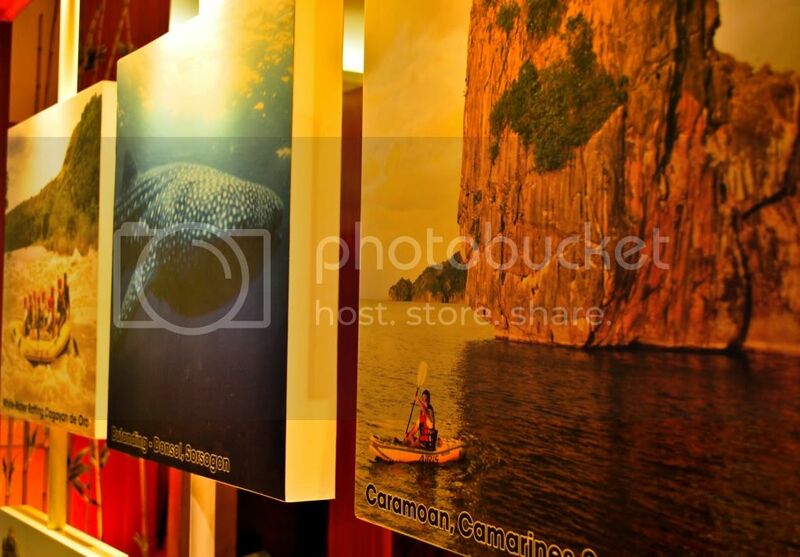 In this booth, they have this long wall which was all about 'What you can see in the North.' A guide will explain and tour visitors too; tour will culminate by having a souvenir shot with one of the famous transportation to the North - the Victory Liner. :) Yeah! It was really fun! Lovet!! We got the "Welcome to the Philippines" coffee-table book here where you need to answer a 5-question trivia quiz (it's all about Philippines, anyways). You need to have a perfect score so you can have it, Ehem! 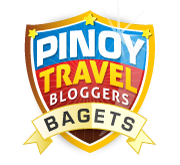 Regarding our mission to book for a log cabin room in Baguio, we were not able to do any. But ahmm.... we got a reservation for a penthouse package in a reasonable price. :) We don't have a kodak moment w/ the people from Hotel Elizabeth (I tell you, they were one of the nicest participant there), but I'm going to post their contact nos. soon. This is the Welcome to the Philippines coffee-table-book that we won from the trivia quiz we joined. The Cruising Magazines - we got them for only Php50.00 each. Hihihih! We got a lot of free EZ Maps. 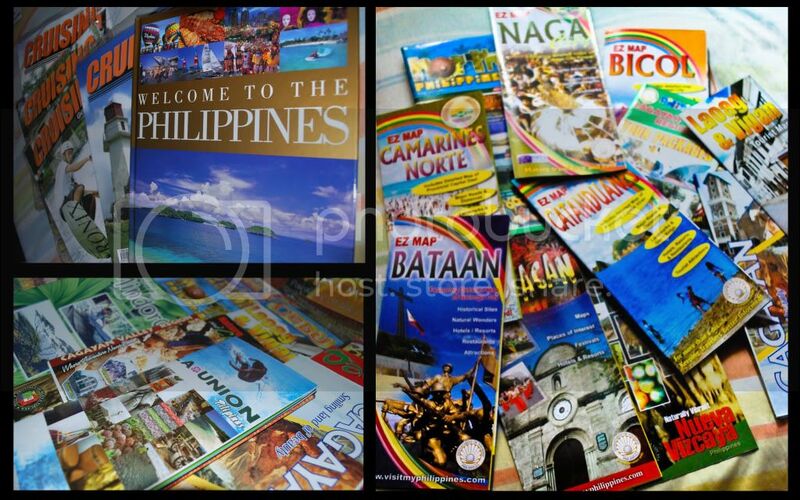 We grabbed the opportunity that maps are just for free since these maps cost like around Php99-199.00 each. Isa sa mga pinagsisishan kong di opinuntahan. +1. hay nako, sabi na kasi kay anton daaan nya bilang nadaadaanan naman nya megamall everyday of his life..
Nako sorry late ko na nakita to. Abangan natin to next year. Saya puntahan nito!